Tidal Engineering Corporation developed the Control and Monitoring System (TECMS) to satisfy the operational requirements of the Military Sea Lift Command. ( www.MSC.Navy.mil ). The system consists of computer hardware and software specifically designed to meet the control, monitoring and reporting demands of MSC contracts.. The data acquisition hardware, our SBC485B, is a robust data acquisition system designed for harsh environments and incorporating various analog and digital input and out features along with RS-485 Network Communications. The Prepositioning Program's Combat Prepositioning Force Project, also known as Army Prepositioned Stocks-3, or APS-3, operates prepositioned vessels around the world for the United States Army. The Army maintains seven prepositioned stocks worldwide; APS-3 is the only afloat prepositioned stock. Currently, fifteen ships provide quick-response delivery of Army equipment for ground forces from strategic locations in the world's oceans. The Combat Prepositioning Force includes eight large, medium speed, roll-on/roll-off (LMSR) vessels sited in the Arabian Gulf. Four of these vessels contain combat equipment, while the rest are loaded with support/sustainment vehicles and cargo. Over the next two years, two more LMSRs will join the Combat Prepositioning Force. Each of these ships has been named for an Army Medal of Honor recipient. 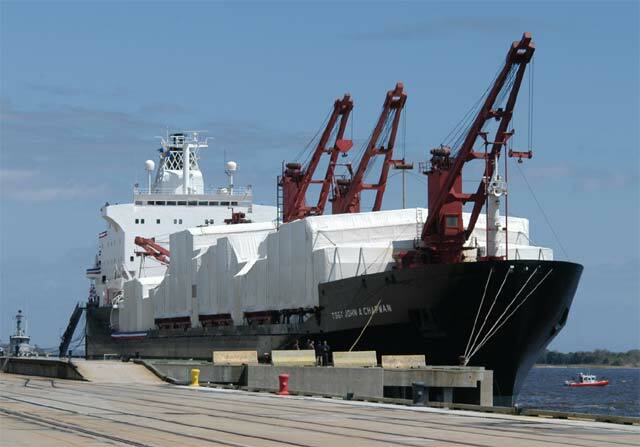 MV SSG Edward A Carter Jr., MV SP5 Eric G Gibson, MV LTC John U D Page, MV A1c William H Pitsenbarger and MV LTC Calvin P Titus are five RO-RO/container ships currently under contract to MSC to support the Army's Prepositioning Program. They are named after Army Medal of Honor recipients. They carry sustainment cargo, including rations, lubricants, medical supplies, repair parts and chemical defense equipment. They are prepositioned in Guam. Tidal Engineering developed, manufactured and installed the Tidal Engineering Control and Monitoring System (TECMS) on four of the five RO RO ships above. 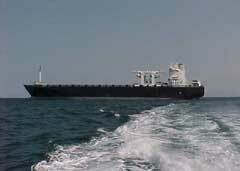 The TECMS system is also employed on the M/V Capt. Steven L. Bennett as part of the Navy's strategic sealift capability in Maritime Prepositioning Ship Squadron One. Squadron One is responsible for the operation of, military equipment on, and administrative support to non-combatant ships of the Military Sealift Command Prepositioning Program in the eastern Atlantic Ocean and Mediterranean Sea. 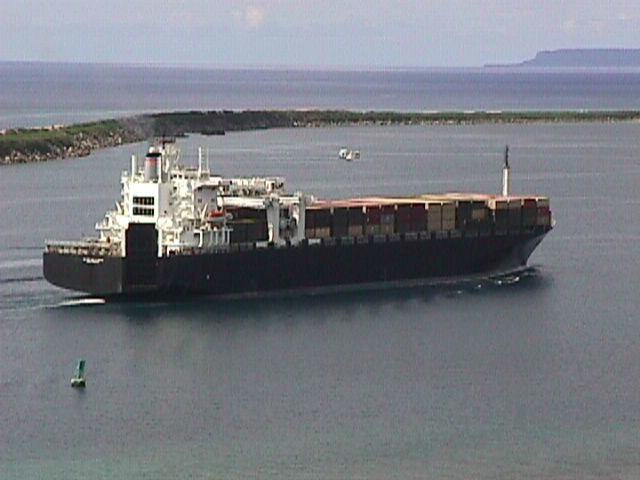 These time-chartered ships carry afloat prepositioned U.S. military cargo for the U.S. Marine Corps and Air Force. The squadron's mission is to provide swift, precise and effective sea transportation of vital equipment and supplies to a designated area of operations. The TECMS user interface is designed to be straightforward and efficient to use. This Home screen shows an image of the ship with each Hold and Space indicated with a button. The color of each button indicates the state of the space, Gray indicates that the space is in-condition, yellow indicates out of condition and red indicates a malfunction. Details information about any space is display simply by pressing the respective button. 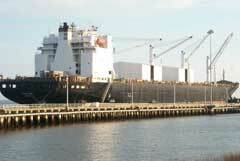 Alarm conditions are transmitted to the ships engine room alarm system. Graphing and reporting are handled automatically by the TECMS applications. Sophisticated graphing and charting functions are included in TECMS. Real-time and historical logging with cursor and multiple parameters make the graphing functions useful for reporting and trouble shooting. 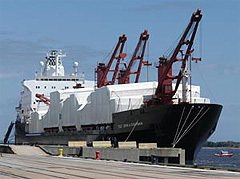 MV SSG Edward A. Carter, Jr. is one of Military Sealift Command's nine Container Ships and is part of the 36 ships in the Prepositioning Program. MV SP5 Eric G. Gibson is one of Military Sealift Command's nine Container Ships and is part of the 36 ships in the Prepositioning Program. 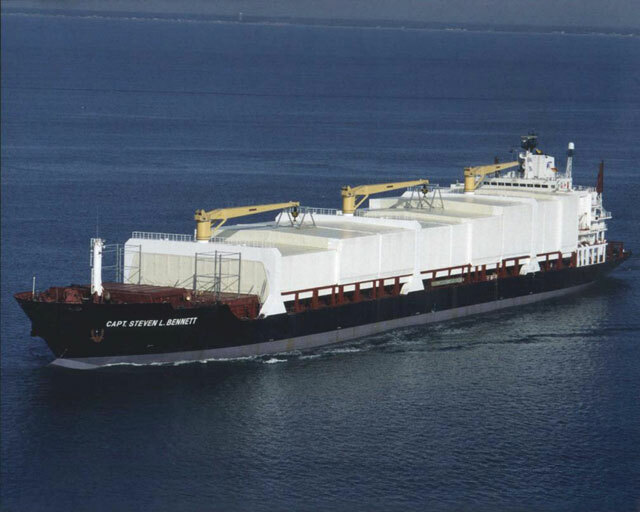 MV LTC John U. D. Page is one of Military Sealift Command's nine Container Ships and is part of the 36 ships in the Prepositioning Program. 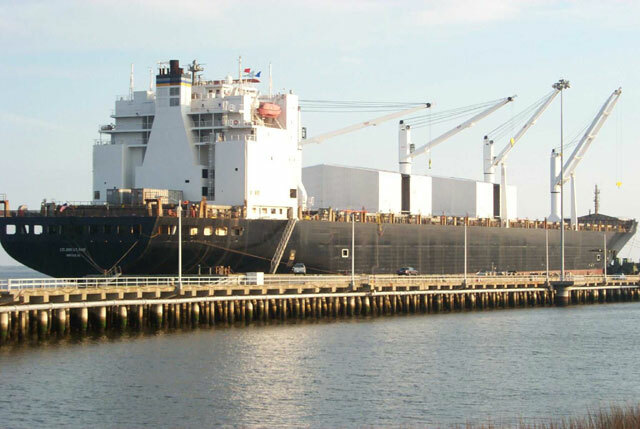 MV LTC Calvin P. Titus is one of Military Sealift Command's nine Container Ships and is part of the 36 ships in the Prepositioning Program. MV CAPT Steven L. Bennett is one of Military Sealift Command's nine Container Ships and is part of the 36 ships in the Prepositioning Program. MV Tsgt John A. Chapman is one of 36 Military Sealift Command ships in the Prepositioning Program. For more detailed information see the index at the bottom of this page. 5/01/04 - US Tech: Computerized Power Control & Monitoring System.